If you find that your hair is thinning, receding or balding, then you will have already looked for possible remedies and cures. This is a very common issue for men, and it can be a serious source of confidence problems. Luckily, there are many ways to overcome this issue by using home remedies for hair growth. There is no need to take damaging drugs or to opt for surgery just yet. Onion juice – this is one of the oldest home remedies and has been used for decades. Many people think of it as an old wives tale, but it has been proven to work for many people with hair thinning problems. 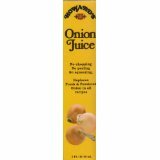 The reason that it works is that onion juice contains lots of the sulfur. 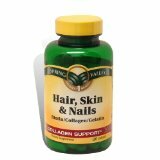 It is sulfur, which increases the production of collagen, which then boosts with hair regrowth and regeneration. After cutting up red onions and squeezing the juice out, apply it to scalp for fifteen minutes. 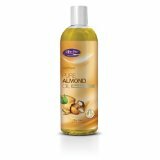 Almond oil – almond oil works as almonds are packed with vitamins and nutrients, including manganese, magnesium and vitamin E.
You can apply the almond oil for your hair, which will moisturize it. Simply massage it into hair, and it will smooth the hair follicles. You will find that your hair grows back stronger and more shiny. Check also the article on the benefits of Castor oil. Apple cider vinegar – this is another home remedy that has been used for many years. Massaging the vinegar into hair for ten to fifteen minutes a day as a rinse (after you shampoo hair), will help the scalp and maintain your PH level. It will help hair to grow back stronger. Potato juice – this might be something that you have heard about in the past. This is less well known than many of the others in the list. Give it a try by massaging the juice into your scalp for fifteen minutes. Coconut milk – coconut milk is a great product as it is rich in protein, essential fats and potassium. This product should help to prevent hair shedding, and will reduce any damage to the hair. 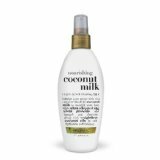 You can extract the milk from the coconut and apply it to the thinning areas of your scalp. This remedy should be left on hair for at least one night, and then rinsed in the shower the next morning. Argan – Argan oil is a very useful remedy, but it can be more expensive than many of the other options listed above. However, this has worked for so many people, and the results can be amazing, so it might be worth the investment. It is packed with vitamin E, omega 3 and omega 9, which offers lots of nutrition for better hair health. This oil works very well as it gets down to the root of the hair shaft and adds moisture (which has been lost). 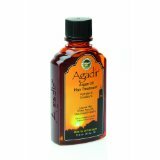 You need to find the pure Argan oil for hair loss treatment. Don’t fall for the weak substitutes. 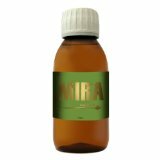 Mira – Mira oil is another oil with very positive reviews. It will make hair grow faster. It is a light oil so it will not block your pores. You simply need to massage the oil into your scalp before going to sleep. Rinse it out in the morning. Green tea – green tea is a great choice as a remedy for longer hair as it is packed with antioxidants. 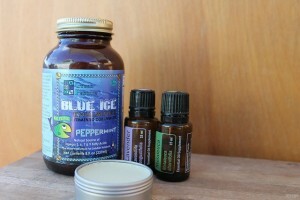 These ingredients are great for most body functions and the hair is no different. It will prevent baldness and increase the growth of hair at the same time. As with many of the other home remedies listed here, simply massage it on to your scalp and leave it for an hour. Then rinse it off with water, and dry your hair. Peppercorns – this remedy is from a native medical culture, but many people have reported success with this method. You just need to mix two teaspoons of peppercorns with half a cup of lime juice. When you mix this combination together, you will be left with a paste that you can then put on hair roots and the rest of the hair. You need to wrap hair with a towel for an hour. This will let the mixture settle into the roots. Rinse it off after this time. Garlic – garlic has been known to prevent hair shedding for hundreds of years. It is also known to increase the blood circulation of the scalp. To create a mix, simply boil a few cloves of garlic in olive oil. Once crushed, you can then apply it to the hair (ensure you apply it to the roots and the individual hair follicles). Vitamin A – vitamin A is known to boost growth of hair, but don’t use too much, as it can have the opposite effect. Eating oranges, prunes, mango and carrots are good sources of this vitamin. Vitamin B complex (with Biotin) – this vitamin will boost hemoglobin in the blood, meaning you will carry more oxygen to the scalp (good for circulation). You can eat fish, beans, potato and chicken to boost your intake of vitamin B.
Vitamin C – get more vitamin C in your diet in order to fight free radical damage in the skin. Eat more citrus fruits in order to get this vitamin in your diet. Shea Butter – check the new article on Shea Butter for hair. If you try these home remedies for hair growth, you will find that one of them works for you. The success is based on genetics and your individual situation, but many people have found this list to be all they need. Using a home remedy is a much better method than having surgery or dangerous drugs (which can affect your liver). Get started today with one of the remedies above, and remember to increase your intake of fruits and vegetables in your diet. Many of these natural remedies can help even if your hair falling out quickly. Is castor oil really effective? I have a long hair, but few days ago it start falling out. Hello, Roberta! Yes, castor oil is an effective way to prevent hair falling and also used to make your hair stronger. However you need to combine usage of castor oil with vitamins (biotin, vitamin e + multivitamin complex). Also, good idea to go visit a doctor because it important to know the reason why hair falling happens in your case (it can be a symptom of some serious health problem). Mira oil becoming very popular for baldness treatment purposes. Later I will review it. Thanks! In my case Biotin vitamin and Argan oil was helpful for me.